Dental amalgam fillings are restorative materials used to restore teeth damaged by decay back to their natural function and prevent further decay. 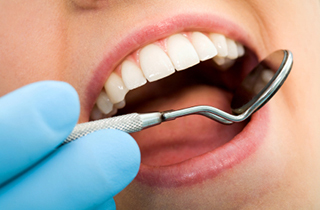 Also known as silver fillings, dental amalgam are used to fill dental cavities. Dental amalgam is a filling material that is made from a combination of metals such as silver, tin, mercury, and copper. Dental amalgam is used to restore tooth decay but new materials like tooth-colored fillings are slowly replacing amalgam. Dental amalgam is popularly used because it is less costly and holds up better in overtime than other materials. Is amalgam safe to use in dentistry? Millions of people use dental amalgam to restore their teeth. Concerns have been raised about the use of mercury in amalgam. The purpose of mercury in dental amalgam is to make the filling material pliable. This allows the amalgam filling to mix and press into the tooth as well hardening quickly to withstand forces of chewing and biting. Accumulation of mercury in the body can lead to the occurrence of symptoms. Several studies have concluded that any amount of mercury released from amalgam filling in the mouth is possible. In addition, allergic reaction to the mercury in amalgam might happen to some patients. When you come for dental amalgam fillings teeth restoration at our office in Ocala, our dentist will assess your tooth decay and discuss the treatment procedure. We recommend replacing amalgam fillings when they are broken, worn or when decay has developed beneath the filling. Other teeth restoration alternatives we offer are composite resins (tooth-colored fillings) and porcelain. Whether you would like to remove amalgam fillings or want to restore your teeth using mercury free fillings, we can help. Our dentist will assess your situation and help you decide what filling is best for you. Smart Dentistry is the leading dental practice in Ocala offering comprehensive dental amalgam fillings and removals in Ocala. We pride ourselves in offering the best quality mercury free fillings and care for all our patients. Our dentists and friendly staff are committed to providing passionate dental care for you and your family. You can expect to receive high-level dental care performed under a comfortable, safe and welcoming environment. If you’re concerned about dental amalgam, contact us today to discuss your options with our dentists. This entry was posted in Holistic Dentist and tagged amalgam filling removal, filling removal in ocala, mercury-free fillings. Bookmark the permalink.